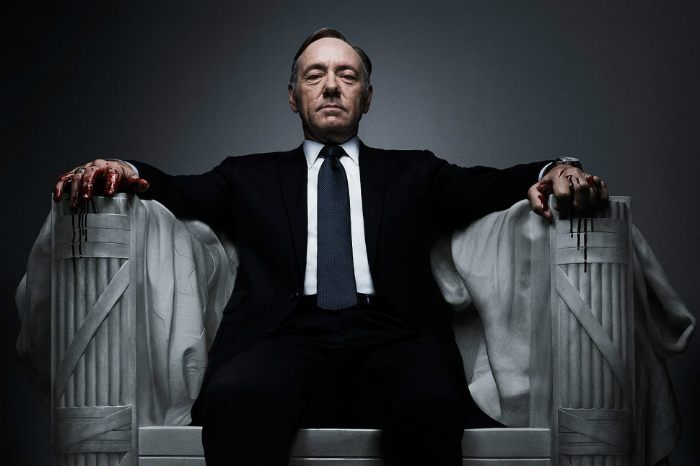 I’ll be one of thousands of people writing about the upcoming House of Cards season 3 release on Netflix on Friday. I’ll also be one of hundreds referencing his classic knuckle double-tap on his desk. But I’ll be one of only a handful of people saying that I fear House of Cards may be at an early crossroads. First, House of Cards is my favorite show of recent memory. Bar none. I grew up watching Cheers reruns late at night, and the only other show that demanded my attention as much as these two was Scrubs. Watching my favorite shows has always been as engrossing as reading a great book or eating a great deep dish pizza (I’m from Chicago – it’s the best). Back to the potential crossroads. (Potential spoiler from earlier seasons ensuing) Frank Underwood starts out as the Democratic Whip, but he quickly rises to Vice Presidency and then takes over the Oval Office. The first two seasons see him climb to the highest position the American government can offer. So where will season 3 go? This could be the season of lack of direction. I mean, where else can he rise to? Could he start a war with terrorists overseas? May he find a rat in the CIA? I don’t know. But the fun part of the first two seasons was seeing the end of the season in sight from episode 1. I don’t know where this season will take us, but I know two things. One, Frank and Claire Underwood are going to rock season 3 in a whole new way. The trailer shows them pitted against themselves, and while this happens to a large extent in season 2, it never came close to stealing the show from Frank’s rise to POTUS. Two, I will binge watch season 3 through the night, into the morning and then through lunch on Saturday.